I love Singapore! I was privileged to call the Lion City home for about 18 months and my youngest daughter was even born there. 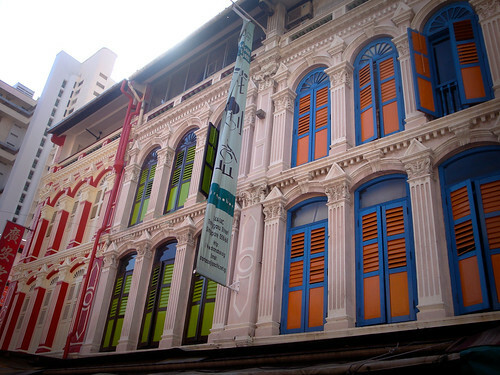 Just about everything you’ve probably heard about Singapore is true. It is clean. It is modern. It is amazing. How did this tiny, crowded island with extremely limited resources manage to make itself a relevant commercial and cultural hub? I’m convinced that it’s because of their Can Can attitude. Can, simply means “Yes, I can.” If you ask a Singaporean to do something quick and easy they will likely respond with a quick can. 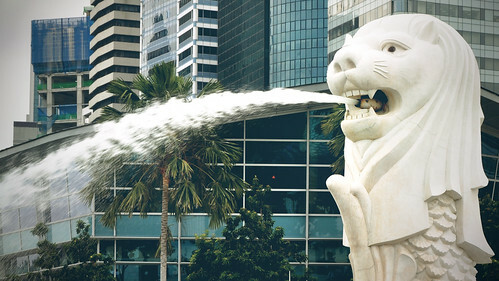 Although discouraged by the government’s Speak Good English campaign, Singlish is a hybrid of the four official languages spoken in Singapore. So, although the words spoken are often English in origin, the meaning behind is uniquely Singaporean. Regrettably, I only know a little Singlish, but I do, however, speak fluent Texican. Do you speak or know of any hybrid languages? Which one(s)? What words or concepts stand out to you? Sound off in the comments below. This entry was posted in Language, Life, the Universe, and Everything, singapore and tagged english, language, observations, postaweek2011, singapore, singlish, words on August 6, 2011 by Ammon. Peas and carrots (according to Forest Gump). Bacon and … shoot, what doesn’t go with bacon? These are all things that do and should go together. 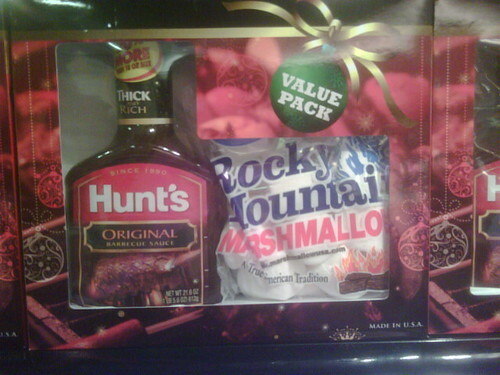 Barbecue sauce and marshmallows, however, do not, and should not go together (I sound like a Dr. Seuss book, I know). Have you seen any odd food pairings lately? What do you think should never be paired and/or eaten together? Sound off in the comments below. This entry was posted in Food, Life, the Universe, and Everything, singapore and tagged Bacon, Barbecue sauce, fail, food, Marshmallow, observations, postaweek2011, singapore on June 17, 2011 by Ammon. I just got an email that a photo I took nearly a year and a half ago recently landed on the homepage of one of the sites in the Fail Blog family. 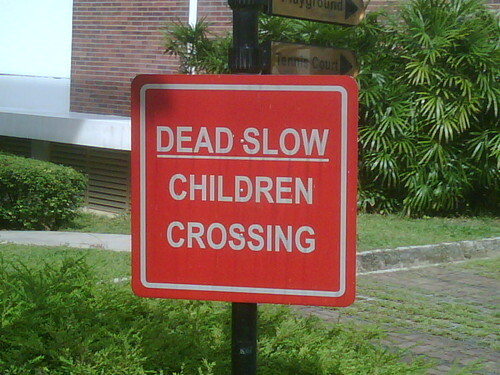 Beware of the mentally challenged zombie children. 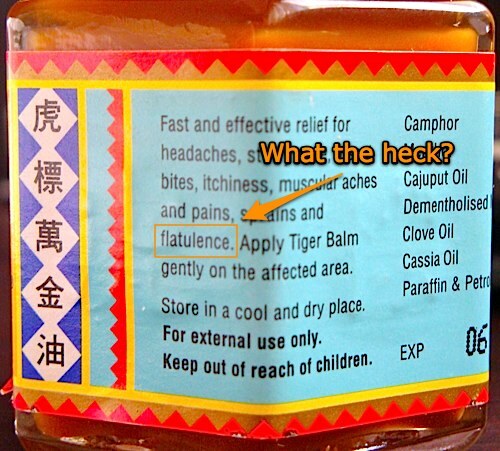 – Engrish Funny: Engrish Pictures That Is Your Funny Engrish. The site is generally in pretty bad taste, but still—yeah, me! 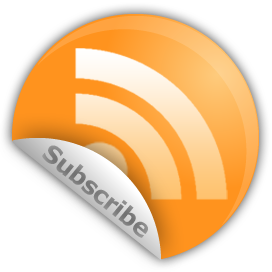 This entry was posted in singapore and tagged achievements, english, humor, language, pictures, singapore on March 27, 2011 by Ammon. For over 100 years we Americans have been enjoying your ketchup and it has been our go-to condiment of choice. So, why are you withholding from us your tastiest creation ever? Why can’t I buy Chilli Sauce in the US? I got hooked on your deliciously sweet and spicy Chilli Sauce while living in Singapore where the stuff was darn near ubiquitous. I found that nearly every food can be improved by dipping or smothering it in this amazing stuff. Everything from burgers and fries to gyoza and steamed rice can be kicked up a notch by a adding a generous helping from the bottle with the yellow and green label. Everywhere from hawker centres, to McDonalds, and even Outback Steak House all serve the sauce proudly in Singapore. And local grocery stores FairPrice, Carrefour, and Cold Storage all have it available for purchase. Sadly, none of them will ship internationally. I’ve checked, eBay, Amazon, Google and can’t find anyone in the States who sells the stuff. So, I’m sending my plea out via cyberspace. 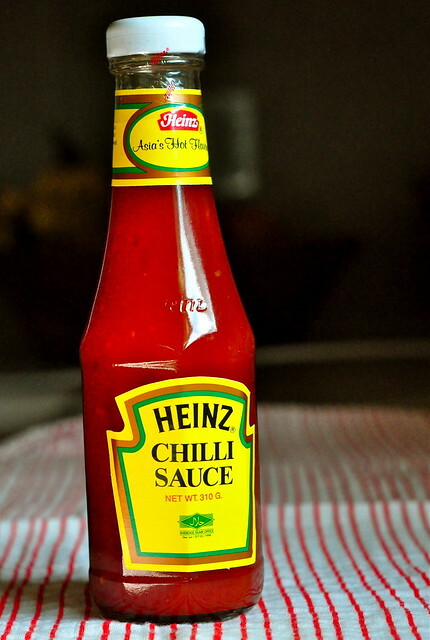 Attention Heinz: Sell your Chilli Sauce in the US. If you sell it here all of your wildest dreams will come true … and you will make a fortune. Is there anyone else out there with a hankering for Heinz Chilli Sauce? What are you craving that you can’t get in the US (or wherever you live)? Sound off in the comments below. This entry was posted in Food, singapore and tagged asia, condiments, food, Hot sauce, sauce, singapore on October 22, 2010 by Ammon.